The ClearView flow meter is a low cost in-line variable area flow meter for use with liquids (water and hydraulic oils). The sprung loaded design of the flow meter allows the for horizontal, vertical or inverted installations. The transparent body allows for a visual inspection of fluid conditions, allowing users to diagnose problems at a glance. 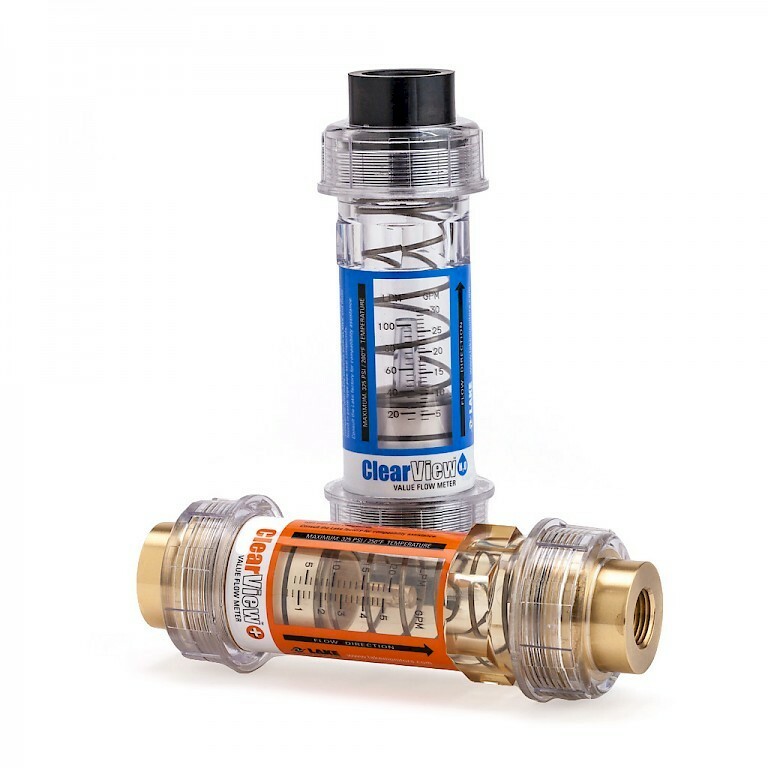 ClearView end ports or process connections are available in either brass or Ryton® with the main body material being available in Polycarbonate for water applications and Polysulfone for hydraulic oil applications. Full scale flow rates are available from 19 litres per minute up to 110 litres per minute. Full scale accuracy of ClearView flow meters is to +/- 2% with a repeatability of +/- 1% of full scale. Maximum operating pressure is rated to 22.4 bar. Temperature ratings for available up to 121°C for polusulfone meters and 93°C for polycarbonate meters. Oil meters are calibrated with DTE 25® fluid @43°C with a density of 0.873. Should you oil differ we can offer custom calibrations. Clear View is manufactured by Lake Monitors who have a complete range of variable area flowmeters and are distributed throughout the UK by PCT. Discuss your application today with one of our application engineers or talk to us about our stocked Clear View models available for same day despatch.